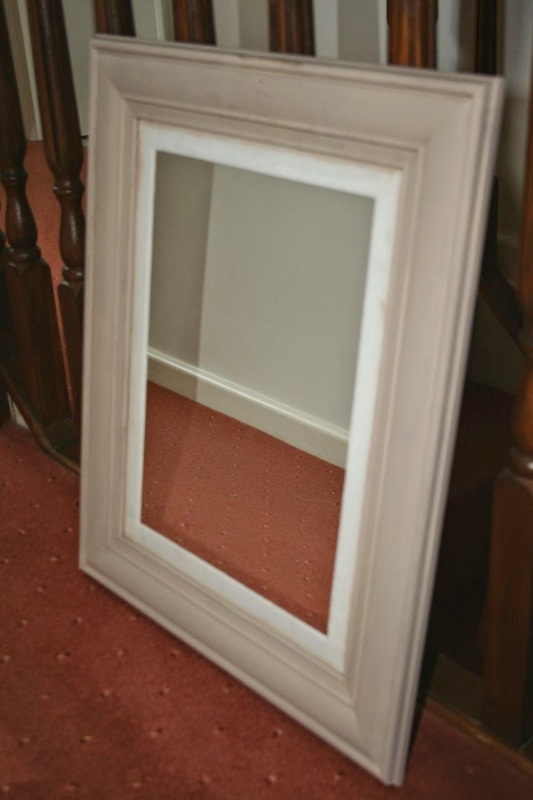 I had a pine framed mirror that was very orange in hue, so I decided to change it to hang in my downstairs cloakroom. Hope everyone enjoys their bank holiday weekend. I started with a 12 x 12 canvas and painted it with a mixture of paperartsy fresco paints (but I now can't remember what combination I used - must do better at keeping notes!). 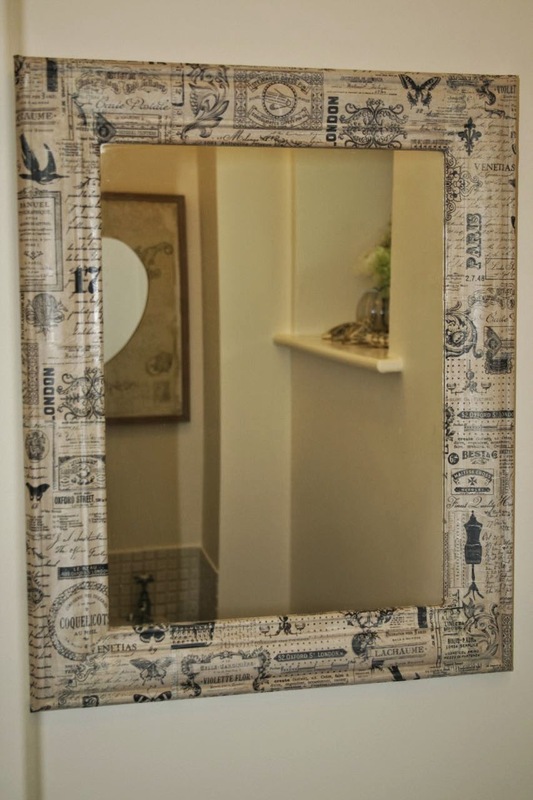 I used a Craftwork Cards large dress form shape (bought it at their warehouse sale as part of a job lot), painted it brown and covered it with paper which I stamped with a Hero Arts script stamp. 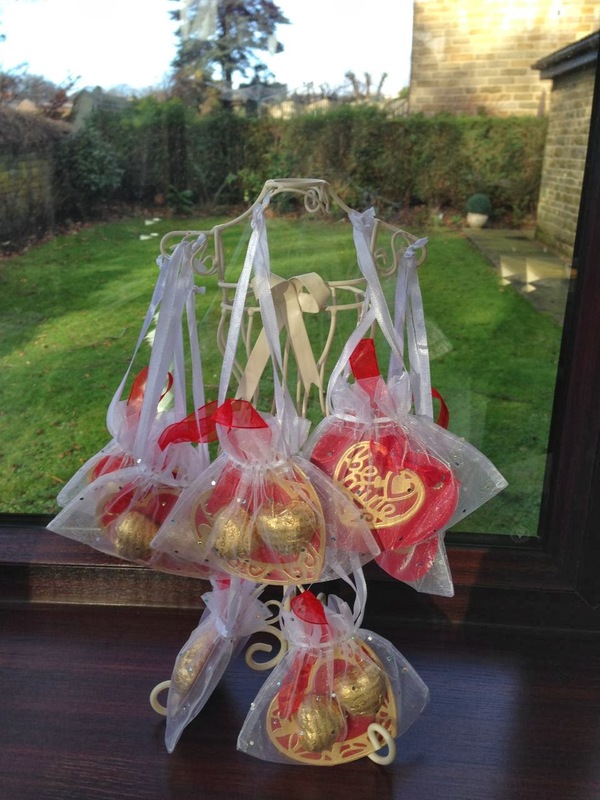 Next step was to make lots of paper cones using Theresa Collins papers and glue them on with a hot glue gun. 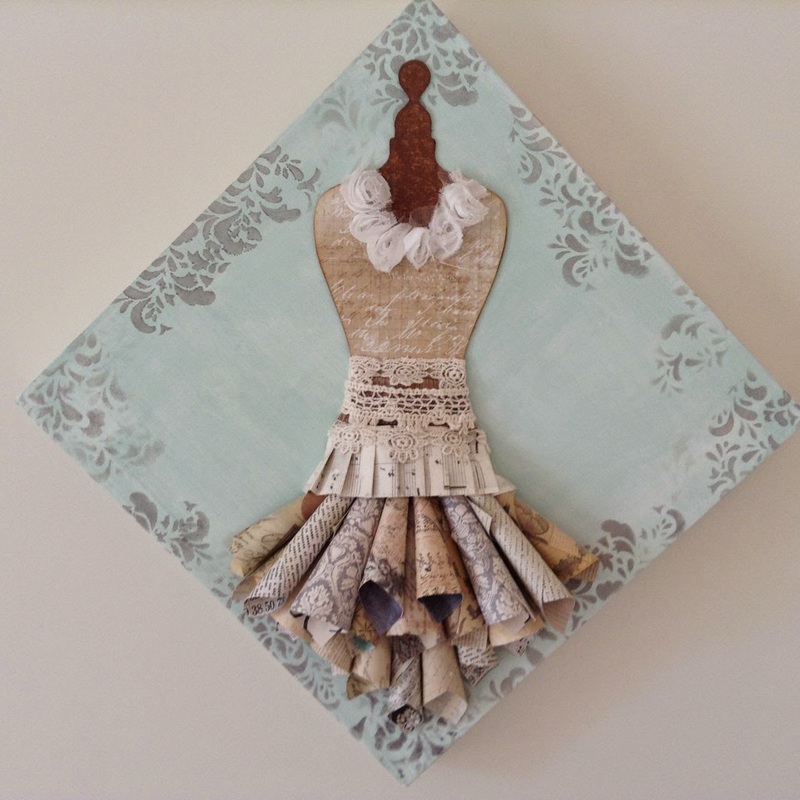 Her bodice is finished off with folded paper, lace and fabric roses and I stencilled around the edge of the canvas with grey paint. 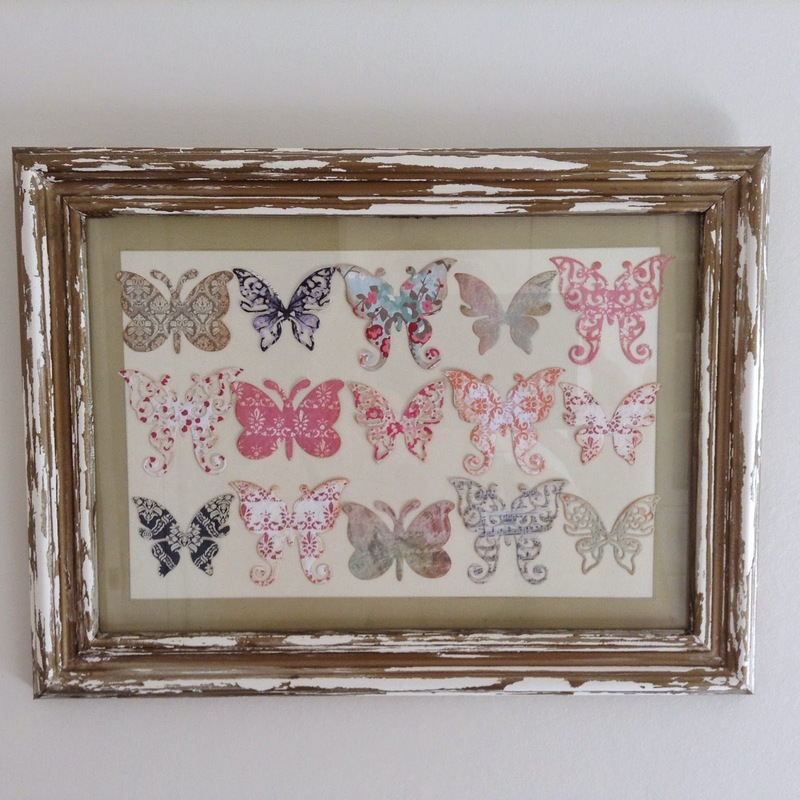 I "distressed" it by painting it with gold acrylic paint and then wiping lots off, I die cut lots of spellbinder butterflies from various papers, stuck them on a trimmed piece of cream card stock and put them in the frame. 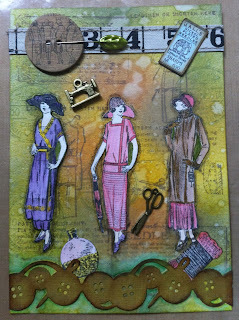 Artist Trading Post are having an exchange challenge in the form of an ATC inspired by Trading Post. 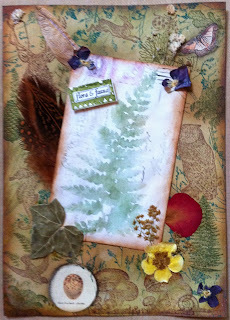 The background was bundled sage and vintage photo distress inks blended and sprayed with tattered angels gold mist. 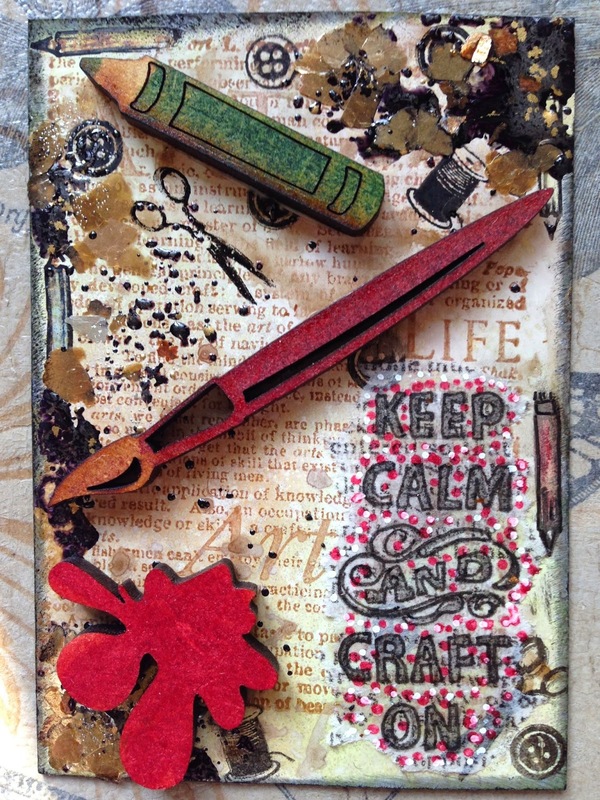 Then I stamped my Hero Arts "Art" text background with Archival Sepia ink. 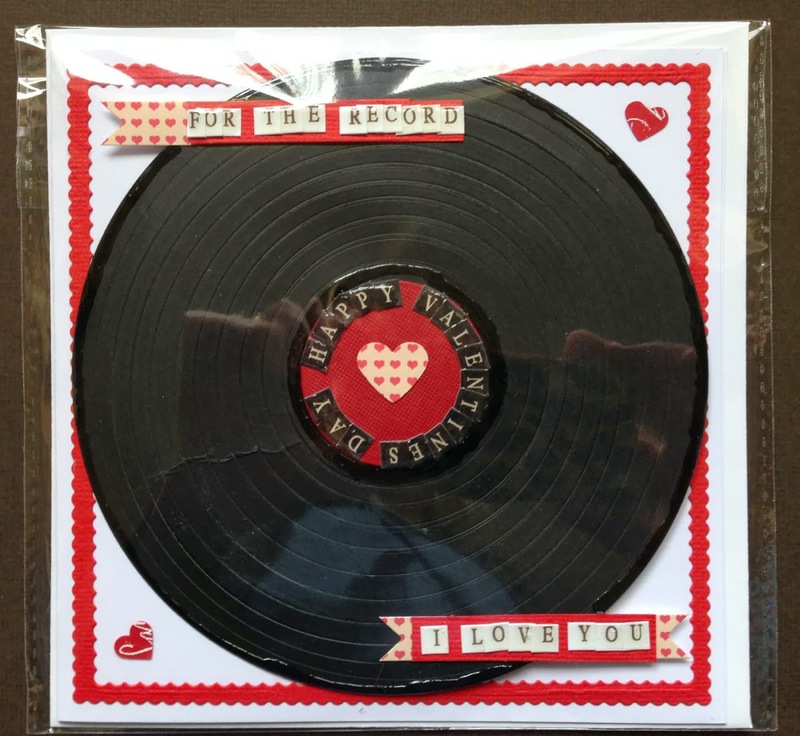 The sentiment (Just-Rite) was stamped on tissue paper then embellished with red and white pens. 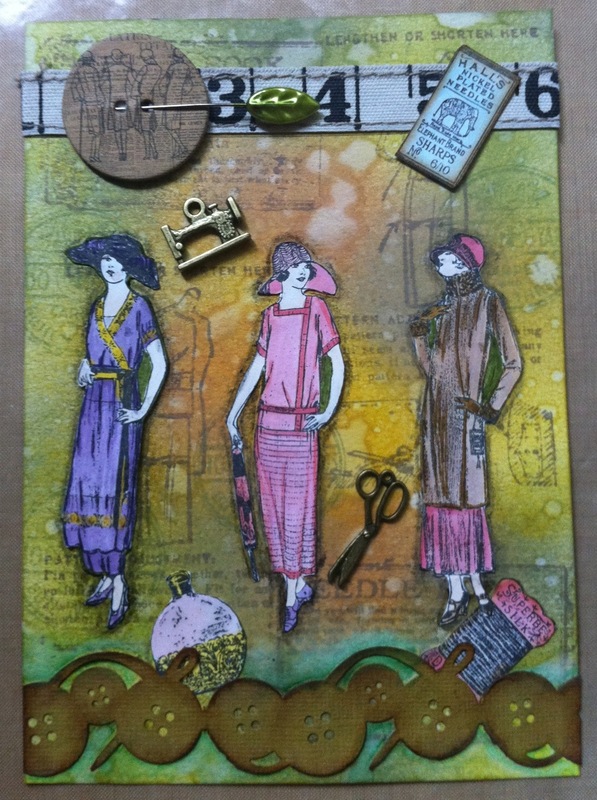 I stamped scissors, buttons, spools and pencils from the same set in Archival black ink. I spattered some vintaj fragments - aged embossing powder and gold flakes, then heat embossed. I topped it with mdf crayon, paintbrush and splatter, coloured with alcohol pens and inked the edges with black soot distress ink. It must be at least 3 years since I made an ATC and I think I'll be doing some more because I thoroughly enjoyed myself - there's something really therapeutic about taking a theme and throwing all kinds of things at it to create a small piece really quickly. 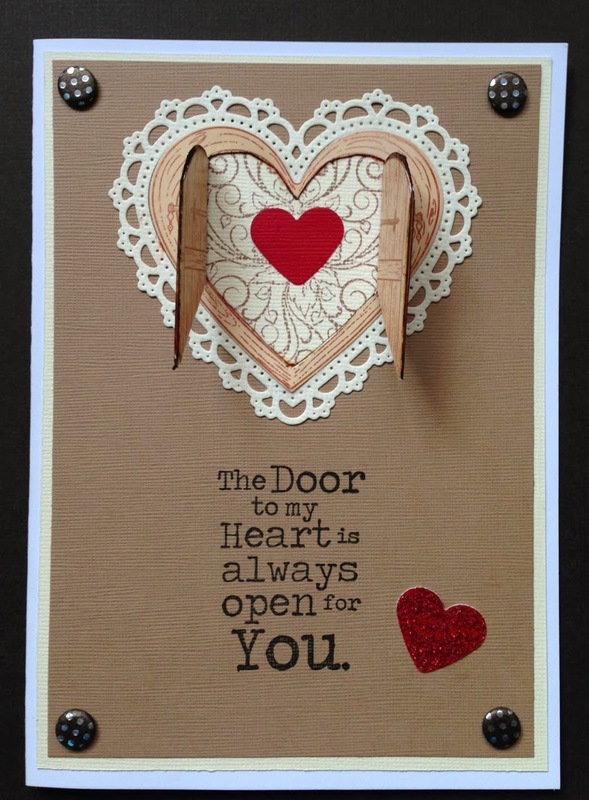 This was made with 2 embossing folders (Crafter's Companion and Sue Wilson) and a Martha Stewart border punch. Flowers and pearls from The Hobbyhouse. Sentiment is a JustRite stamp. 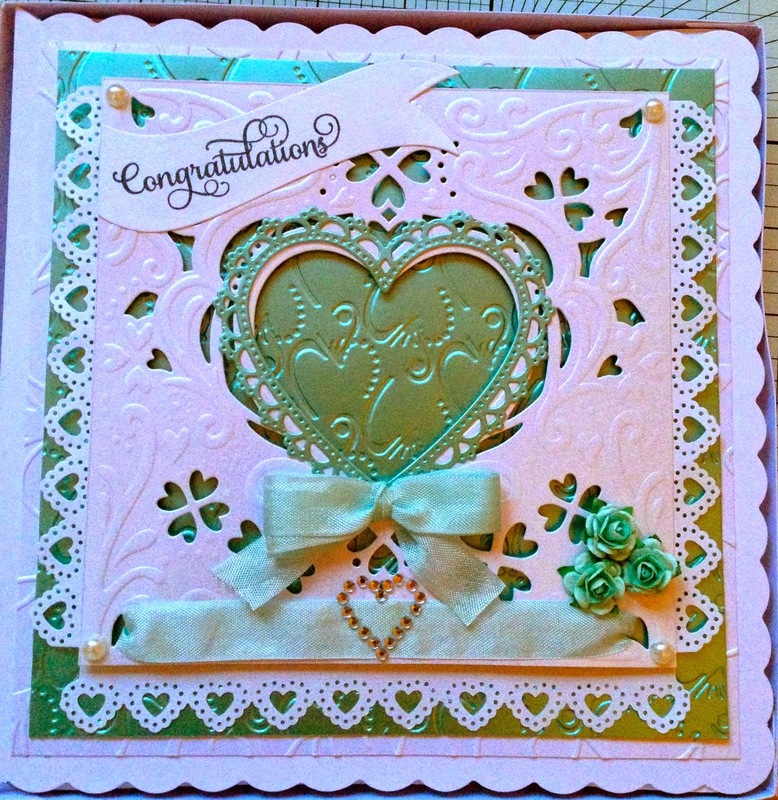 The Peach card has a Tonic embossing folder as its base and Tonic corner dies, Spellbinders lattice heart dies, large heart dies and border dies. 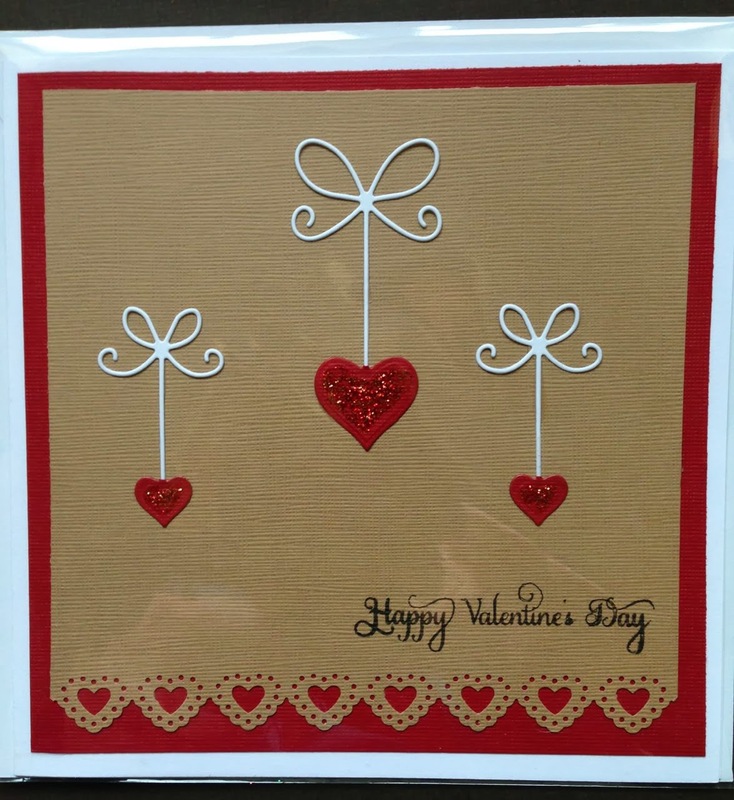 The gold heart was stamped with an Indigo Blu image and foiled and the delicate cream heart die is by Memory Box. 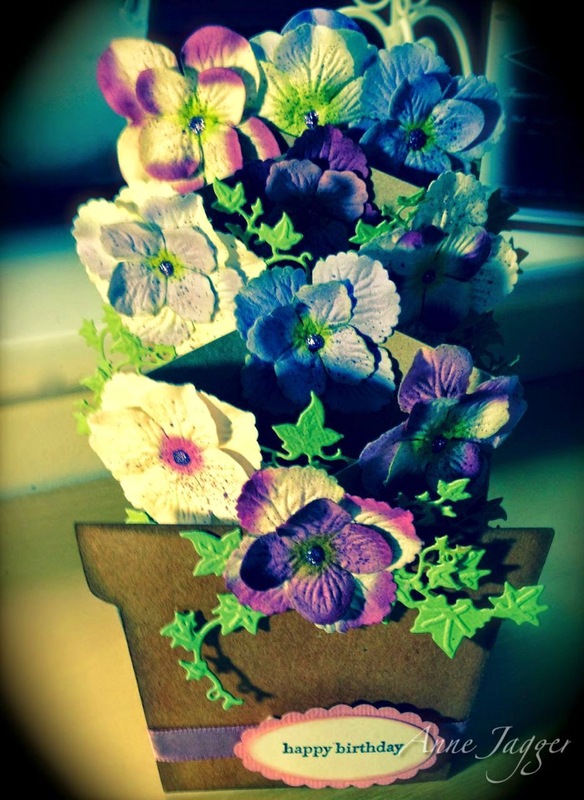 Flowers from Wild Orchid Crafts and the pearls were coloured with alcohol pens. 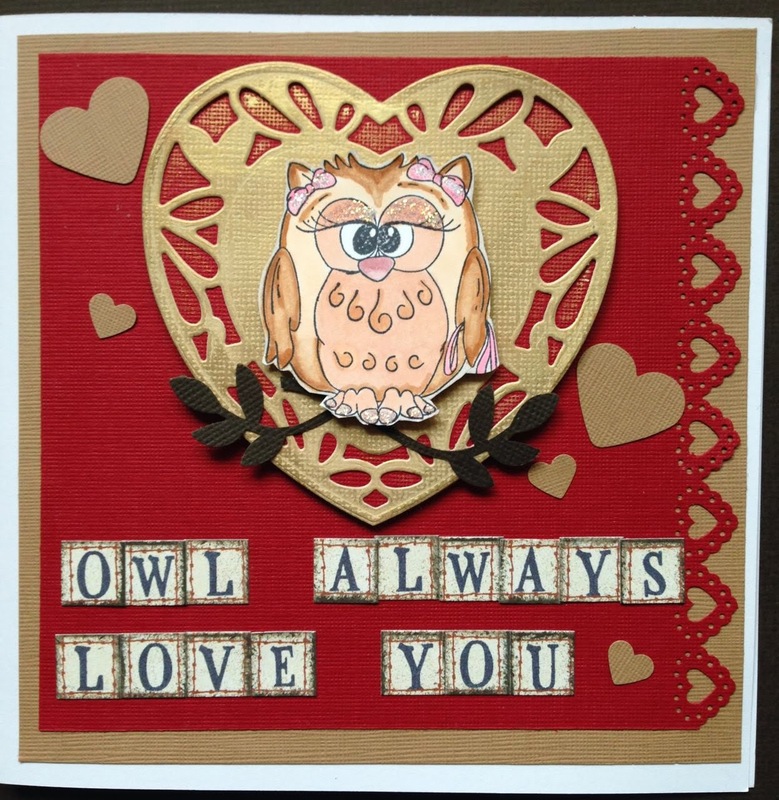 Sentiment is from Craftwork Cards. Just testing to see if I can remember how to blog:) This is a zig zag card that stands up and is quite deep, but will fold flat to go in to an envelope. 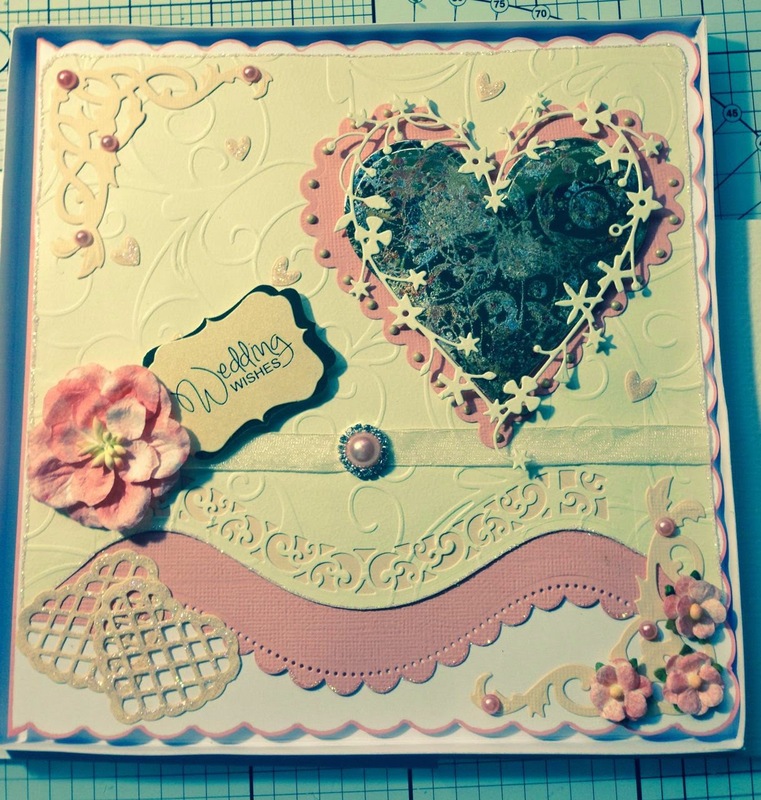 Prima flowers, Marianne dies and Stampin' Up sentiment and oval punches. 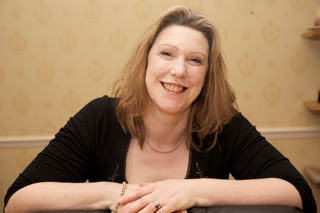 Will have to re-familiarise myself with how to take a photograph next. 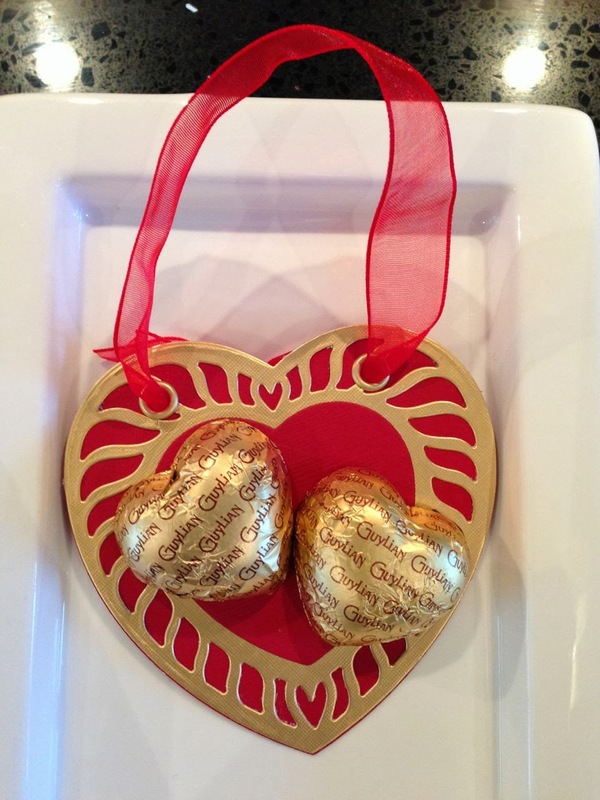 I made some little gift hearts to hold a pair of chocolates using some Tonic dies. 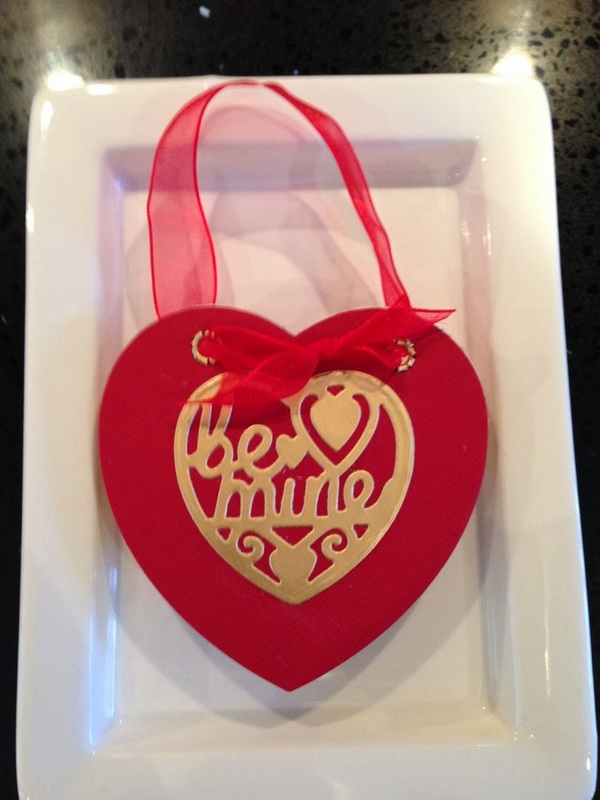 The back said either :Be Mine" or "All my Love"
Tonic dies again and Martha Stewart Punch. To Die For dies and sentiment. Tonic square and circle dies and some glossy accents. Memory box dies and Martha Stewart punch. 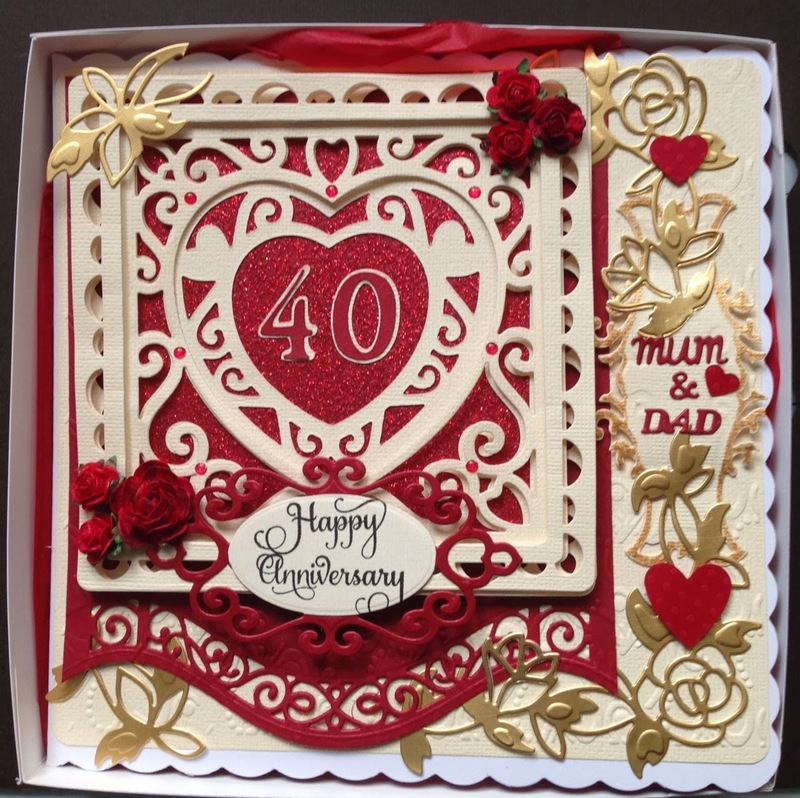 Tonic, Spellbinder and Tattered Lace dies, Just Rite Happy Anniversary and Cricut numbers.The background is embossed using a Creative Expressions embossing folder. Stamps are Crafty Individuals, Tape is Ranger and punch is EK Success. The theme for this was Summertime. 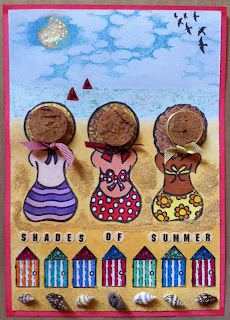 I can't remember who made the sunbathers stamps. 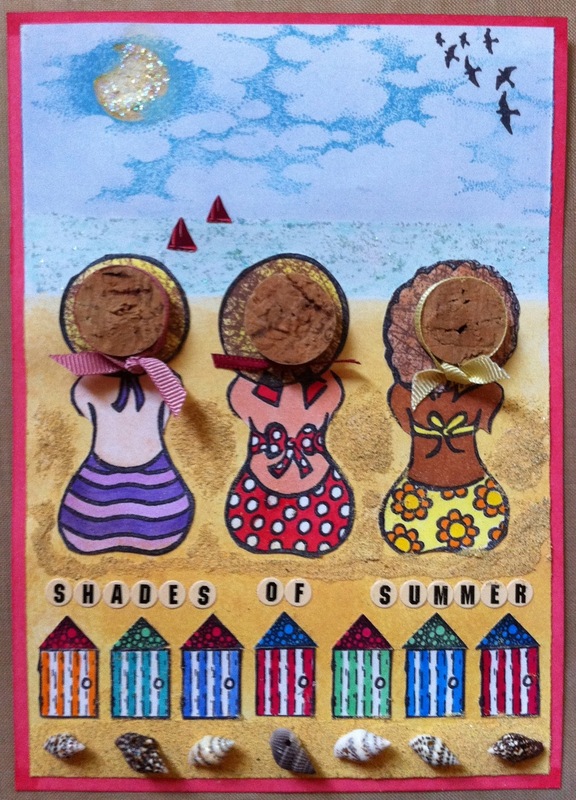 Their hats are corks, the beach huts are from a Paperartsy stamp. 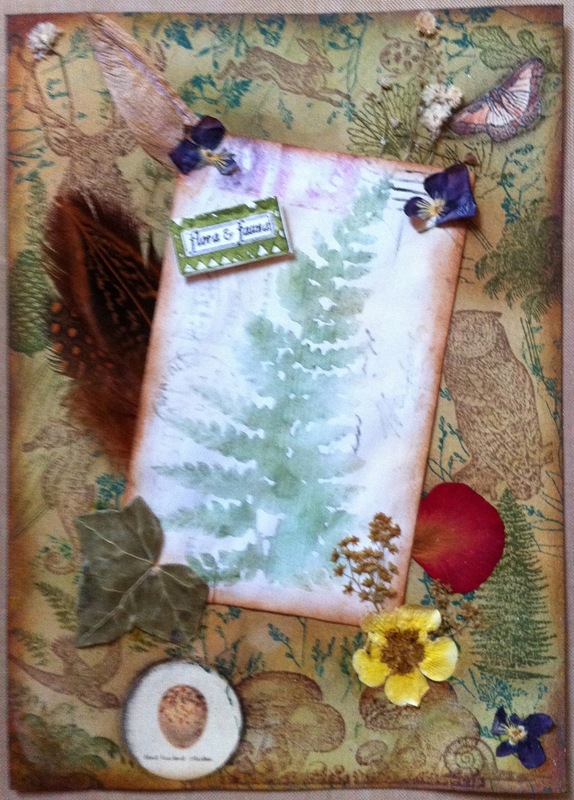 Finally the theme of Nature: Main stamp is by Sarah Lugg used on watercolour paper. Background is inked with distress inks and the stamps are from a "Pictorial Websters Dictionary" set I found in Liberty's in London. Egg sticker is by Cavallini and the Feather came from VW Rouleaux.